As OFSTED recognised, we have good relationships with our parents and carers, and we expect everybody to behave courteously to each other and set a good example to the children. Inevitably, there are occasions where parents may be unhappy or upset about something that may have occurred in school, and want to discuss it. In most cases, complainants are helpful, polite and patient, and they give us time to sort out whatever has happened so that everyone has been listened to and the problem is resolved. However, the behaviour of a minority of complainants can make investigating and resolving a complaint difficult, or they may behave in a way that is unacceptable or inappropriate. We will never tolerate violence or abuse towards any member of staff. This may include behaviour or language (verbal, non-verbal or written) that may cause staff to feel afraid, threatened or abused; and it may include threats, personal verbal abuse, derogatory remarks and rudeness. In these instances, parents will be asked to desist from the behaviour, and/or leave the premises. In instances where parents refuse to leave when asked and their behaviour is still causing distress, the police may be called. The Head Teacher or Local Authority Director of Education may, in certain circumstances, impose a ban in writing on that person until they have had a meeting and taken responsibility for the impact of their behaviour. This is essential to protect staff and allow them to do their jobs, as well as protecting your children from witnessing inappropriate behaviour by adults. 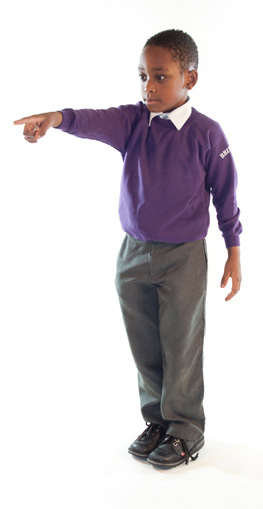 Parents and carers may also not approach any children in the school to investigate a problem, as this may result in you receiving a warning letter, a final warning or potentially even a ban from the site by the Head Teacher or Local Authority Director of Education. Please let us know what facts you have, and we will thoroughly investigate your concerns and let you know the outcome. Parents and carers may also not question staff about sanctions that may have been put in place by the Head Teacher, as this will be seen as intimidation or harassment of staff. If you are unhappy with the way your complaint has been dealt with, our complaints policy is available on the School Website and from the School Office. However, we hope you will work productively with us to overcome any problems, and life will be happy for everyone. We are eminently human; taking the time to say thank you to us when we get it right goes a very long way! I am delighted to welcome you to Brunswick Park Primary School, and hope that by browsing our website you gain good insight into life at the school and into the lives of those who teach, work and learn here. Good relationships throughout the school are fundamental to a positive ethos. School is more than lessons; it fosters and encourages challenge, ambition and drive and teaches values such as respect, tolerance, honesty, trust and friendship. We hope that you enjoy your stay with us and look forward to receiving your feedback. © 2016 Brunswick Park Primary School.